There are 8 posts tagged Cricket (this is page 1 of 2). As you know, I launched CricketRadius.com on April 2nd. It is my second stint at entrepreneurship after SaleRaja earlier. In this article I will try to answer what idea I had so as to convince me to leave Yahoo and jump full time into this. Being very frank, I got the idea (and it is still refining) after leaving Yahoo. I had a very basic vision of doing something to connect fans when I left Yahoo, but the idea of a social network and what all features it will have have only come in the last three months. See below paragraphs to know more about the problem, the market and the solution. As a cricket fan, right now there are websites where you can check scores, read articles and stories written by former players and experts. Cricinfo, CricBuzz, CricketNext, Yahoo Cricket are some of the popular names. There are also a lot of fan blogs where bloggers share their views about the game. But there is no platform which gives you a cricket profile, where you can express your love for your favorite teams, players, stadiums and matches. There is no platform where all the fans can come together and share the experience which comes when our team wins, or our favourite player gets a century or a hat-trick. We watch cricket and enjoy it with our friends and family, and that is where the real love and joy for the game comes out. We can obviously share about cricket on social networks like facebook and twitter. But it is annoying when you share about your favorite team on social networks, and every other non-cricket update gets in the way? Like someone’s birthday wishes, or what dish has one cooked, or some funny pic about a guy getting hit by a car. Wouldn’t it be great if you could talk just about Cricket? CricketRadius is a social network for cricket fans by cricket fans. Interact with others who have cricket in their blood, and discuss about your favorite players, teams and ongoing matches. Check in to the players and teams you are watching, score runs and let the world know your cricket acumen. Also, score runs and get rewarded on the way. Currently there are more than 100 million Indian internet users, of which 45 million are on facebook. There is no need to quantify in numbers the popularity of cricket and how many of these users visit various cricket websites or share about cricket on facebook and twitter. This number is expected to rise to 300 million by 2014, according to Google India. A large young population (more than 50% of Indians will be under 30 by 2015) with better incomes and a growing economy are all reasons for this impending growth. This presents to me a huge gap and a product missing for an ardent cricket fan like me. Cricket is something about which I am really passionate about, and it has been a dream come true creating a product which more than anyone else, I want to use and share with my cricket lover friends. 1. 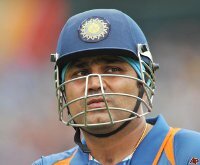 Adequate rest – All three players, Sachin, Sehwag and Gambhir have been plagued by injuries and fitness issues coming up into the World Cup and playing only two of them in any single match will give adequate rest to all of them. It will be very critical going into the knockout stage of the tournament that all three of them are fully fit and rested. 2. Team Balance – Just as you can’t play 11 Sachins in one team even if he is the best, a team needs to have only two openers to maintain team balance. No doubt all these players are good enough to play in any position, but that leaves Kohli at number 4 and leaves no place for Raina. Kohli has shown tremendous maturity batting in the last year and he needs to bat in the middle of the innings for that, not at the end of it which normally happens if all three openers play. At the end of the innings, Raina could be very destructive but playing all three openers means he can’t find a place in the team. So playing only two of them will give Kohli and Raina their comfortable spots in the team rather than Kohli coming to bat in at number 7 as he did yesterday. 3. Enough exposure to all – Indian top order has failed only 5 times in the last 32 matches which means Yuvraj, Pathan, Dhoni and Raina have very little time in the middle. Playing only two of the openers will give more chance and opportunity for the Indian lower middle order to get some match practice. When we face a tough opposition or when the top order fails, we want the middle order to be prepared to take on the challenge rather than being sitting ducks due to lack of time in the middle. Due to the above reasons, it will be best for India going ahead into the knock-out stage of the World Cup that all players are rested enough, fit enough, and have got enough time in the middle to be ready for their chance when it comes. The same also holds true for our bowlers, rotation will be the key to ensure Zaheer, Nehra, Sreesanth and Chawla are fit and confident whenever they are required. As the ICC World Cup starts in under two weeks on what are going to be batsman friendly pitches of the subcontinent, a lot of records are going to be broken and new ones made. Considering the small grounds of the subcontinent and the hot weather, it is expected that bowlers will take the heat and a lot of batting records are to be made. Below I am trying to predict some important statistics and records that this world cup might see. I will evaluate these figures again at the end of the world cup. Most sixes in a single over – I reckon there will be at least two overs during the tournament where all balls of the over will be hit for sixes. There was one such instance during the 2007 WC. Most sixes in tournament – I think the tally will be around 25 sixes by any one player. Highest Individual Score – I am sure Sachin’s 200 not out will be equaled or bettered in this WC, either by the GOD himself or somebody else. 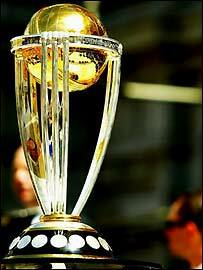 My line up for the semi finals would be Australia v South Africa and India v England with Sri Lanka and Pakistan being wildcards, and Australia / India being my favorites to lift the trophy. Now, after the cup is over I will again go over these predictions and compare them with the actual statistics. Obviously there will be some surprises, some new records created, some disappointing performances and some consistent ones. Let me know your comments on these predictions and we will see how they pan out over the whole tournament. He is the player who has faced ball after ball over the last 14 years with levels of concentration not many can match. You need to see him sweat during a match to understand his concentration levels. Right in the beginning of his career, he batted 541 minutes in the first innings of this match and followed it with another knock in second innings while the rest struggled to put bat to ball. He is the player who have been criticized by viewers and critics everytime he has got out cheaply but he has never used his mouth to answer them. Neither does he need to, as his bat is enough. Not many people have hit centuries in both innings of a test match, and he has done it twice. (vs Pakistan and New Zealand) Only Gavaskar has done it thrice. He is the player who has stood alone on bouncing tracks alone while all his distinguished mates have struggled and got out. Still he is never acknowledged for the numerous matches he has won and SAVED India. I can never forget the second innings of this match where his 27 not out is not less than a century (on that wicket). Or see this match at the Sabina Park, Kingston, Jamaica where he stood as a rock in both innings and made sure India won a series (first overseas series victory in 20 years) in West Indies. A match-winning captain’s hand in the second-innings of a historic away-series deciding Test on a minefield. Now beat that!! In many pitches that appeared to have landmines buried on a good length, Rahul Dravid has waged a war. Ducking, weaving, blocking, watching partners come and go, jabbing, leaving, ducking, weaving… Not many have batted for more than 600 minutes (like here when he scored a double when all others struggled to get even a fifty. 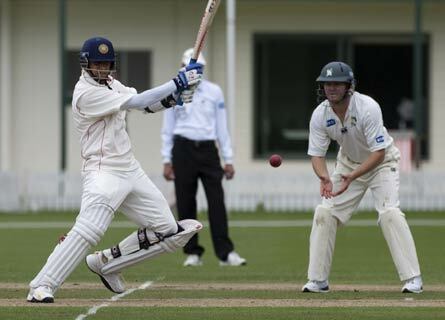 He is the player who has formed the platform around which many big names have hit knocks of a lifetime. 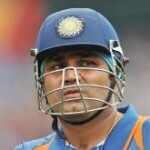 May it be Sehwag’s triple century , or Laxman’s 280, or during many of Sachin’s tons, he was the player at the other end. Cricket is a game of partnerships, and he has shared 19 century partnerships with Sachin (a world record), 11 with Laxman, 10 with Ganguly and 10 with Sehwag. If you compare the accolades all of these players have got and compare it to Dravid’s, you will know why I call him the most UnderApplauded batsman.. He is perhaps the only player who averages more abroad than at home (55 to 50), yet he is never credited for the numerous matches India have started winning abroad over the last 15 years. Ask any bowler and he will name Dravid in the top 3 of “most difficult to dismiss” players, and yet he is the first to be dismissed by the viewers and critics!! He is the only player left who is a classical batsman. Perhaps the most complete batsman playing the game today, and perhaps the last. He is the person who you would want to watch if you need a definition of batting. Yet he is measured by his strike rate more than the runs his partners have scored in his company. He is the player who has totally transformed his game for one-day cricket and T20 cricket, yet he is pulled by critics for playing slow. Ask his teammates what freedom and confidence they have in playing their shots just knowing that Rahul Dravid is standing at the other end! He has kept wickets in ODIs to maintain the team balance, been the vice-captain of the team at the same time, scored runs consistently and yet never have expressed himself or demanded any attention. Without anybody noticing, he has amassed more than 10,000 runs in ODIs too. While many people still believe he was never suited for ODI’s, he has 11 century partnerships with each of Sachin and Ganguly. Then why do we regard Sachin and Ganguly as the best one day players ever to play for India, and totally forget Dravid’s contribution in that. If Ganguly, Sachin, Sehwag and Laxman have a natural talent and genius, Dravid has compensated for it with sheer hard work and levels of concentration that are almost yogic. Not many can bat for 835 minutes (its not a typo) like he did in this epic match in Adelaide, or when he batted for 12 hours for his 270 in this match. Not to mention the Adelaide victory was the first for India in a generation and the Pakistan series ended up being India’s first ever series win there. Over 19 years of following cricket madly does leave you with quite a good number of old memories to cherish. Be it the 1992 (see first comment below) 1993 Hero Cup last over by Sachin, or the sight of Siddhu stepping out and hitting Murali for sixes!! The memories and the experience of watching those pristine cricket matches could never be replaced. Obviously, some players have left a deep impression on me. I have always been a fan of good cricket, and never madly followed any one cricketer, and so I am going to list my favorite players whom I have seen play (in no particular order), and why they are on the list. Brian Lara has been the most destructive batsman I have seen play, and with the consistency he had, I rate him as the best Test batsman till he retired. It is one thing to score a world record 375, but another to come back and reclaim it with a 400 not out 10 years later. He has 9 double houndreds, second only to Bradman. He holds the highest first class score record of 500, which makes him the only batsman to score a century, a double century, a triple century, a quadruple century and a quintuple century in first class cricket. And all this has come against the great bowlers of the world like Murali, Warne, McGrath, etc when his own team was struggling to even make a contest. To top it all, he was the captain of the team for many years and yet continued his onslaught without letting the captaincy affect his batting. I remember a series against Sri Lanka in Sri Lanka where Lara scored 2 double hundreds in 3 test matches while West Indies were beaten without a contest by the Lankans. He has a strike rate of 60 in test matches (which is not matched by many) and is only one of the few players to score a hundred before lunch. The fear he had in the bowler’s minds was unmatchable. Probably much has been written and said about him than all the other players in this list combined. The way he has persisted with batting beautifully, how he has rediscovered himself, first for the one dayers and then for T20s is totally amazing. How he has overcome the limits of the human body to play continously for 21 years (and counting), how he has overcomes injuries, criticism from critics (including me) make him the cricketer he is. His continous hunger of runs remains after two decades and his ability to play with the bat is as much amazing as his ability to play with the mind. He is the one player who always seems to have an extra second while playing a ball, and many times he knows what delivery the bowler is going to bowl. The way he hits a ball over the fielders sometimes to create gaps where he wants in the field shows the marking of a true thinking batsman. And the humility which he brings with him to his cricket makes him a very good human being too. A true ideal for youngsters on how to handle criticism, and more importantly, how to handle success. I rate him, along only with Shane Warne (of current generation), as one of the greatest players ever to play cricket. 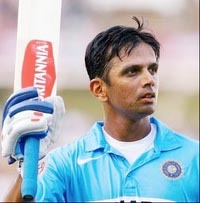 Grit, determination and perseverance are not better symbolized by anyone else as by Rahul Dravid. Not everyone is nicknamed “The Wall” and Dravid has earned this nickname by standing tall against the best bowlers in the world while his team mates came in and got out at the other end. He has saved many test matches for India, by just standing there at one end. He has hurt the bowlers, not by aggresive strokeplay but by an inpenetrable defense. I have always felt pity on a fast bowler like Brett Lee who comes running in and bowls at 150ks / hr and the ball lies dead on the pitch just below the point where it hit the middle of the willow of Rahul. 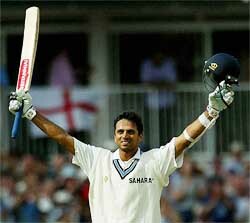 Yet he has scored more than 11,000 runs in Test cricket with 80 century partnerships (a world record). Fielding at slip, he has the highest number of catches in test cricket. Once deemed unfit for one day cricket, he rediscovered himself and has over 10,000 runs in that format. Now he is a treat to watch in T20s in IPL. He is one player who I have seen change the most in terms of his batting, yet contains the humility with which he entered the team in 1996. And in test matches, I would say he has been a better batsman than Sachin Tendulkar and one of all time greats!! Shane Warne is the only cricketer of the present generation (and the only bowler) who figured in the Wisden Top Cricketers of the Century list in 2000. It is a tribute to the man who weaved his magic with his wrist spinners and huge turners, bowling batsman out behind the legs many times. His dismissal of Mike Gatting in 1993 is widely regarded as the ball of the century. He is very rightly labled as the King of Spin and was the first to take 700 test wickets, and it is not to be forgotten that he played in a team which had great fast bowlers not always giving him a full chance of taking a lot of wickets. He was also the man of the match in the World Cup semi-final and final in 2003. Apart from bowling, he captained English county side Hampshire for 3 seasons from 2005 to 2007 before joining the Rajasthan Royals in IPL as captain and coach. He led a team of no-stars to victory in the inaugural version of the IPL due to his inspirational captaincy and magical bowling. He never got the Australian captaincy because of being surrounded in controversies but many say he is the “Best Captain Australia Never Had.” And you have to see him to believe what charisma he brings with himself when he walks into the cricket field. 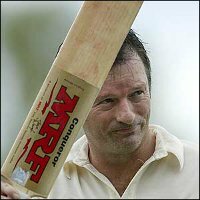 I have always admired Steve Waugh’s integrity and courage under pressure on the cricket field. And his ability to remain calm in high pressure situations made him known as the “Iceman“. He started as a batsman and a bowler, playing some epic innings, including the twin hundreds during the 1997 Ashes. Later he led Australia to 16 consecutive test victories, the best run ever by any team in Test Matches. During the 1999 World Cup came his biggest test when Australia began badly and needed to win all their last 8 matches to win the World Cup. The twin matches against South Africa in that World Cup, where he made 120 not out in the first one to turn the tide around and his leadership in the tied semi-final made him one of my all time favourites. Along with Shane Warne, he turned around Australia’s World Cup and ended up winning it, making him only the 2nd Australian (apart from Tom Moody) player to be a part of two world cup winning teams. Apart from cricket, he has also been involved in philantropic activities in Calcutta and was named the Australian of the Year in 2004 when he retired. If Shane Warne was the magician of spin, Wasim Akram is the Sultan of Swing. With Waqar Younis, he formed one of the most destructive opening bowler pair ever. His mastery over the art of moving the ball both ways at a good pace made him the most dangerous bowler of all time. He showed the world how to bowl with the old ball. See this delivery to see how he filled dead pitches with life. He finished with the highest wickets in one days and 400+ in test matches. His inspired leadership and batting made him a matchwinner with the bat too. He will always be remembered, with Waqar Younis, the person who showed the world the art of reverse swing bowling. Perhaps the only cricketer of the current era who has broken all notions about how cricket should be (or should not be) played. He is one player who always sees the ball and not the occasion. Whether it is the first ball of the match or the last, whether it is a test match or a T20 match, if the ball deserves to be hit, Sehwag will hit it. A player who has changed how test cricket is played, and has handed India many test wins just because of the impact he has when he scores his runs at such a pace at the top of the batting order. Though he gets dismissed quite often playing his style of cricket, and criticized everytime he does so, but this is Sehwag for you. Critics have always hit out at him for not being more careful and mature in his shot selection and that his style of cricket won’t suit Test cricket but he is most successful in the longer version of the game. 6600 runs at an average of 53+ and a strike rate of 80+ makes him the most fearful player in cricket today. He is the only player to have three 290+ scores and the only player ever to complete a triple century with a six. 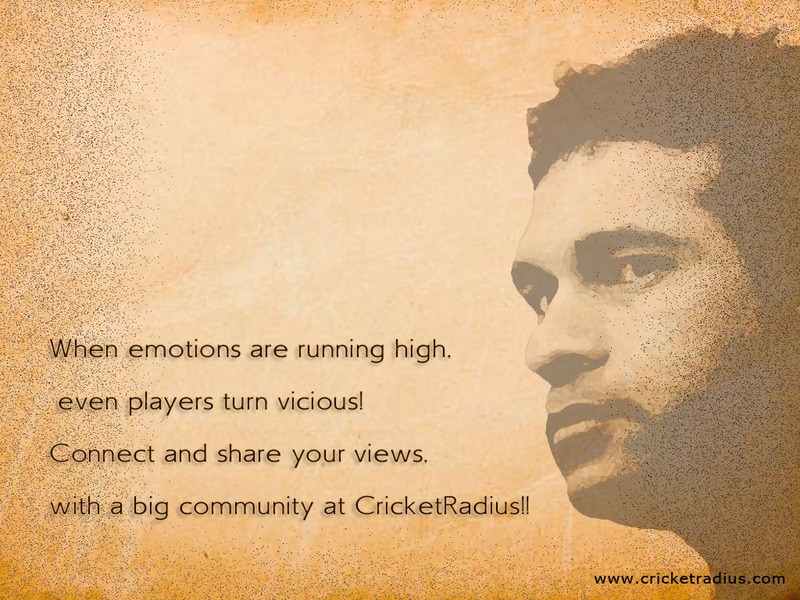 He is one of a kind, and his views about cricket is as candid as his batting. By the time he retires, he might be one of the all time greats. The man who still is India’s most successful captain ever has evoked emotions in Indian cricket like none other had done before. He took over the reins of Indian cricket in its worst time with match fixing allegations doing the round. He made a team, and a winning one at that, out of a bunch of youngsters. He backed players like Zaheer, Harbhajan, Yuvraj, Kaif, Sehwag when no-one was ready to give them a chance and made them into match winners and the Indian team into a formidable unit. Earlier he has formed, with Sachin Tendulkar, one of the most destructive opening wicket pair in One Day cricket history. After unceremoniously going out of the side after a public spat with coach Chappel, he made a spirited comeback and even scored his maiden Test double century. Amidst all the controversies and negative publicity surrounding him, he was a cult figure in India and not to forget the fact that Wisden named him the sixth greatest one day player of all time. His strokeplay through the off side has earned him “The God of off-side” title. If his batting was as elegant as it could be, his “in the face” aggression was best depicted by the shirt removing act in the final of the Natwest Series in 2002. The perfect brand ambassador cricket can ever hope for. And the way he led India during the controversial Australia tour in 2008 was an example of how a leader should lead himself and his team. He is the leading wicket taker for India in both Tests and One Days and is third in the overall Test list with 619 wickets. He is the only bowler of the current generation who has taken all 10 wickets in an innings. I still remember watching that match on TV on a chilly February day in Delhi. He has relied more on change of pace and guile rather than big turners. He is the leading wicket taker by way of “caught and bowled” and has taken 5 wickets in an innings an incredible 35 times. Perhaps no bowler has won India more matches than Kumble. 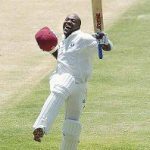 “Jumbo“, as he is popularly known, is known for his determination and full commitment to the team, which was symbolised with he bowling with a fractured jaw in 2002 in Antigua. After his retirement from Test cricket, he has reinvented himself for T20s, leading Bangalore to finals in 2009 and has been their best bowler in 2010. Players will come and go, but legends like those listed above will be impossible to replace! !